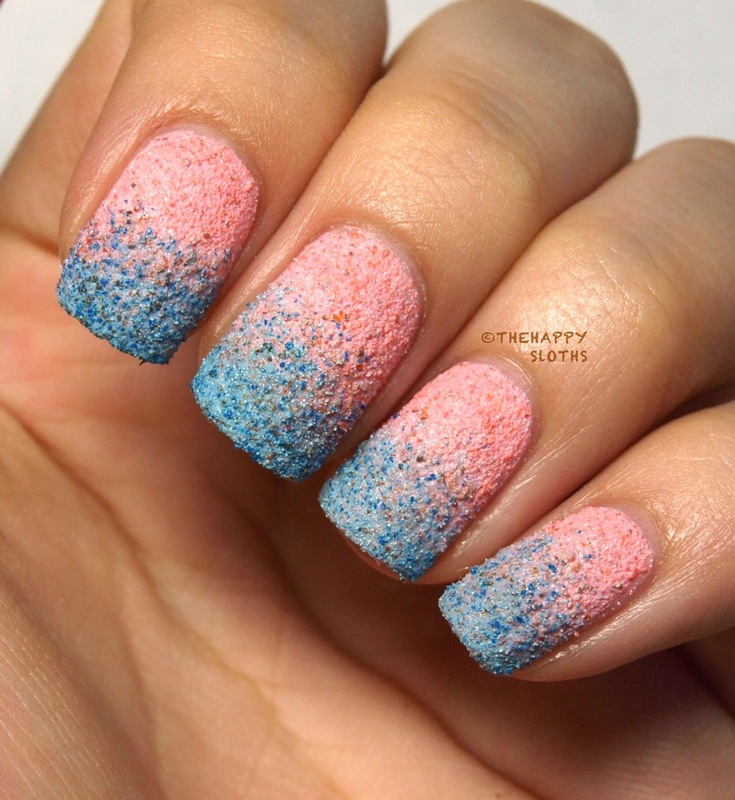 This one is a gorgeous light blue textured matte with dark blue and black specks. The formula was super easy to work with, I used two coats in the swatches below. The drying time was super quick! The finish, as you can see, is fairly gritty, but all the sandy particles are adhered very well so there is no "shedding". 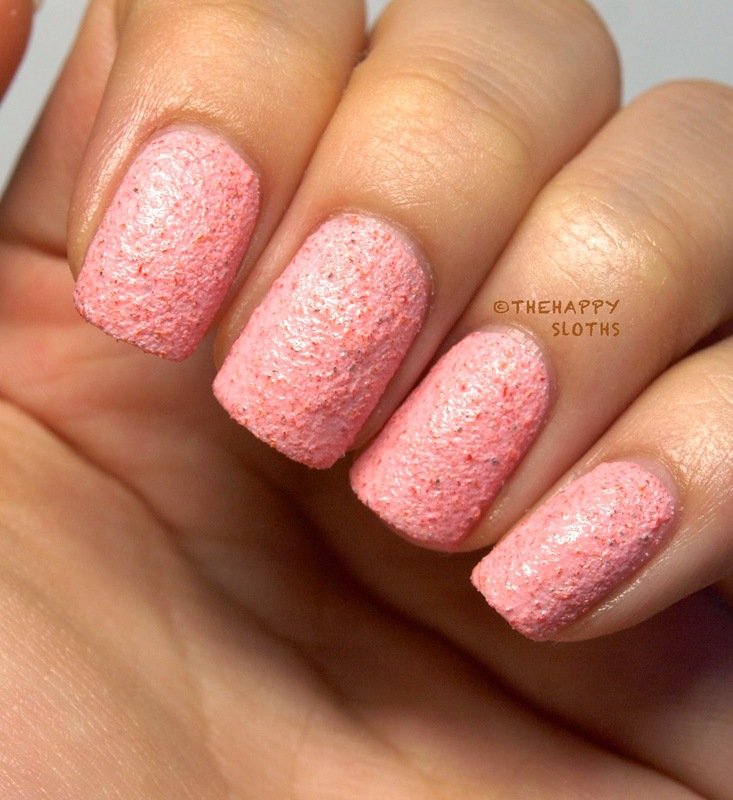 This one is a warm pink matte texture polish with specks of red and black particles. The formulation of this is the exactly the same as "On What Grounds? ", easy to apply and and dried very quickly. I used two coats for my swatches. Here I did a ombré with the two colors, I kind of like the blue and pink combo! These are definitely very unconventional even for textured polishes. They are probably not for every one but I personally am a huge fan; the speckled effect is very cute and reminds me of those Easter egg candies! I also really appreciated the quick drying time (I am super impatient), so definitely check these out the next time you go polish shopping! So, what do you think of these unique textured matte polishes? Let me know in the comments below!